Any time you work with a professional, including a financial advisor, it’s well worth doing the research to verify that he or she is the right fit for you. 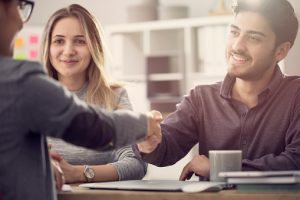 You will want to interview a few different options before choosing a financial advisor and look specifically into their backgrounds before selecting someone. A few advisors should always be discussed before you settle on one. Having individual conversations with each advisor can help you figure out how your personality matches up with them. Asking questions and looking through their disciplinary history and credentials can help you narrow down your list. In the initial interview, there are a few key questions you would want to ask. First of all, you would want to determine whether or not they have served as a fiduciary before, what specifics services they are offering, and their individual certifications. Furthermore, it is beneficial to understand their overall philosophy about financial planning and investing. Knowing how many years this person has been in practice can also help you. In some situations, it is important to realize that financial advisors have a minimum investable asset requirement. You may not meet this minimum requirement so it is a good idea to rule these people out before you set up an initial conversation. 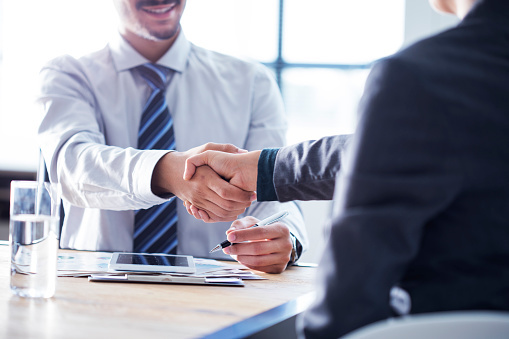 The consultation with a financial advisor should help you to clarify what is truly in your best interests and scheduling a consultation with one sooner rather than later will help you figure out your next steps. Your estate planning lawyer and your financial advisor are important people for your future; choose them carefully. That’s not exactly earth-shattering news to most people, although many may not realize this also applies when it comes to financial planning, as pointed out in a recent article in Forbes magazine. “Are women different when it comes to financial planning?” author Eve Kaplan asked. “The unequivocal answer is: Yes. While women live an average of five years longer than men, they earn 23 percent less. The earnings gap is trimmed to 5 percent for men and women holding identical jobs, Kaplan wrote. “As a result, they have less retirement assets and a higher risk of outliving them,” according to the article. “The difference is startling: women typically have one third less money set aside for retirement than men. To counteract this, women need to stay in the labor force longer, if possible, save more and keep their employment skills up-to-date if they exit the labor market. Kaplan also points out that even though their needs are different, too many women tend to defer all financial planning matters to the man in their life. “When women absent themselves from financial decision-making, they suffer even more if their husbands predecease them. I often see women who don’t know where key financial accounts are held, or what kind of planning their husbands had in mind,” the article stated. “Newly widowed women are especially vulnerable to ‘advisors’ who live on commissions, and who don’t necessarily disclose a conflict of interest when giving advice. “Women are more receptive to advice because they worry more. Since women are more insecure about financial matters, they tend to be more receptive to professional advice. It’s not surprise that women often worry more about financial issues because they are often are charged with the well being of their families, or themselves if they live alone. In the coming decades, experts say women will control more than 50% of the wealth in the US. By contract, only 25 percent of Certified Financial Planner Practitioners are female. This may produce a potential mismatch between the rising number of female clients and the number of female financial planners who personally understand the sometimes more intuitive approach women clients take. John Grisham’s latest bestselling novel revolves around a wealthy man crafting a handwritten will that completely cuts out his family and leaves the fortune to his housekeeper. The reason the man did this just prior to taking his own life, other than that his two adult children are fairly odious people, is the crux of “Sycamore Row,” but the novel also points to some pertinent legal issues relating to last-minute decisions regarding estates. While an individual may have valid reasons for revoking an existing will as death appears to be imminent, such decisions must be handled carefully to avoid potentially significant problems. “When death grows near, the issue of a legacy can come into much sharper focus,” Arden Dole wrote in a recent Wall Street Journal article. “People with money and property sometimes choose that moment to change their wills or estate plans. Done right, deathbed revisions may save their families income and estate taxes and prevent misunderstandings and administrative hassles. Ideally, an estate plan is considered carefully when it’s created and is regularly reviewed, so it won’t need major deathbed changes. Financial advisers are often asked to tweak elements when a client nears death, even though the best estate plan is one that’s been carefully considered and subjected to frequent reviews, according to Dale. “When the prospect of death becomes real, it also may change a person’s views on how, and how much, to give to various individuals, or to charity,” the story stated. However, if a member of the dying person’s family becomes involved in making late changes, it is critical that they have a power of attorney or similar document, to ward off legal challenges. “Normally, it’s the relative of a client who calls and says, ‘My father just had a stroke, can you help me?’ ” Barry Kaplan, a wealth manager at Atlanta-based Cambridge Wealth Counsel, told the WSJ. “Issues like taxes and the cost basis of an investment are complicated enough in normal times, and many people don’t think about them when dealing with a death in the family,” Dale wrote. “Still, last-minute changes require special caution. 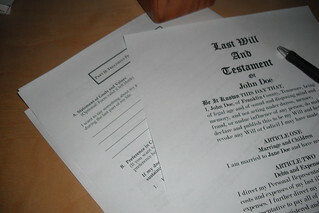 “Typically, it’s a bad time to change a will,” Puzo stated. In the heat of passion, many people are lukewarm to the very notion of a prenuptial agreement. Far from putting some kind of hex on a marriage, prenuptial agreements can bring couples closer together by sharing a deeper understanding of what each partner is bringing to the relationship. “If they aren’t disclosing a material asset, then the contract won’t be worth what it’s written on,” she says. Some people put more thought into choosing an outfit for the day than they do in selecting a financial advisor. They almost assuredly know that the one is far more important than the other, but feel there is no way of making a sensible choice. 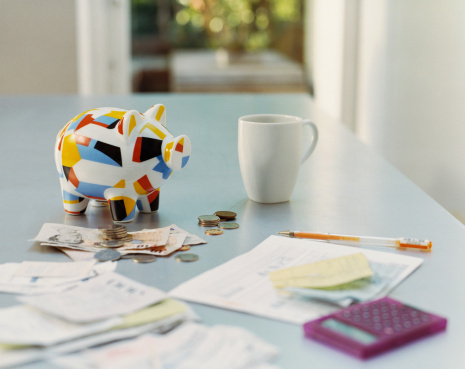 However, the National Association of Personal Financial Advisors, on its website, offers a five-step approach for both simplifying the seemingly complicated process and providing some comfort along the way. The conversation simply means sitting down with loved ones and determining a goal for seeking financial advice before even embarking on the search. While the object of a search is to settle on a single source for financial advice, the association recommends initially gathering the names of several, from not only family and friends but also the organization’s website, NAPFA.org and GarrettPlanning.com. Homework can be as simple as looking closely at the websites of financial professionals or being as thorough as examining issues of compensation, services and disciplinary history at the Securities and Exchange Commission. The review is used to look further down the road in what will probably be a long-term relationship, rather than focusing just on immediate investment performance.